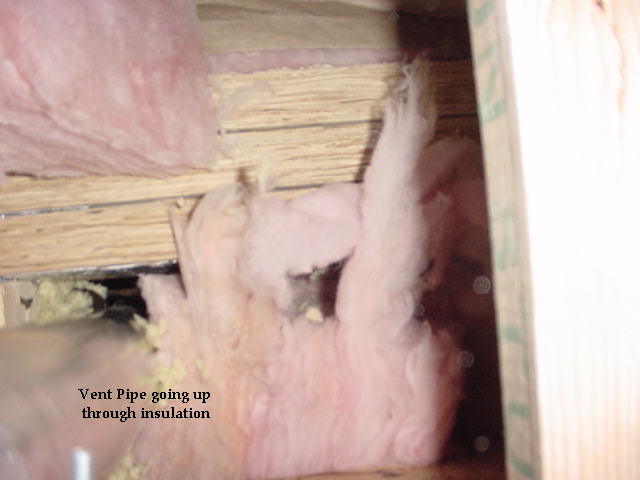 This home was completed, inspected by the City of Goodyear and passed all required inspection criteria before the city certified the home as "Habitable". 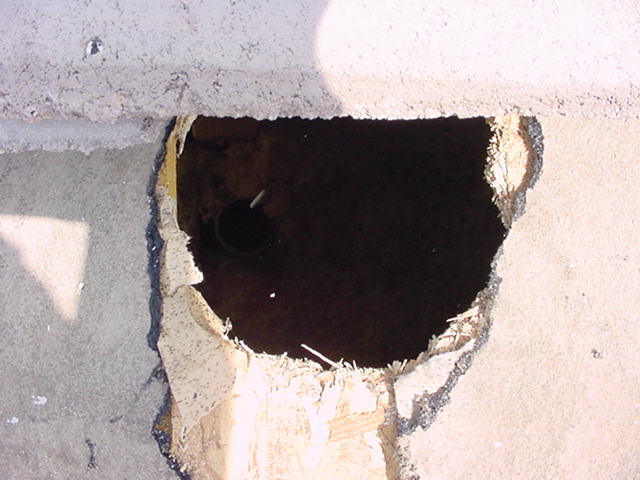 Goodyear issues a CO Certificate of Occupancy, stating that the home was ready. 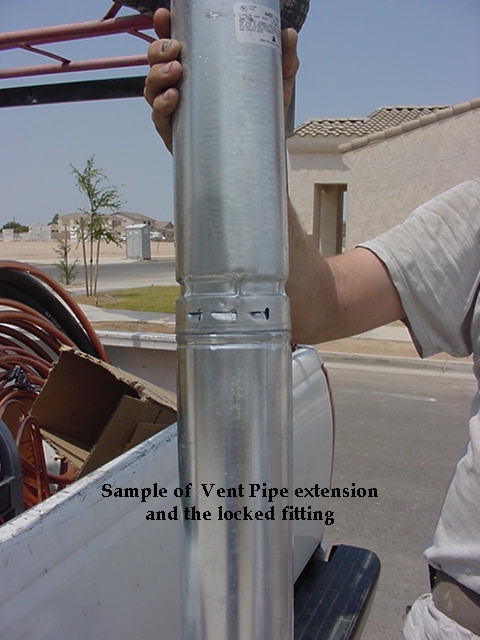 When our client's home inspector inspected the house, he found that the Class-B Gas Vent Pipe that exhausts gaseous vapors from the gas hot water heater had not been properly vented to the outside of the house. 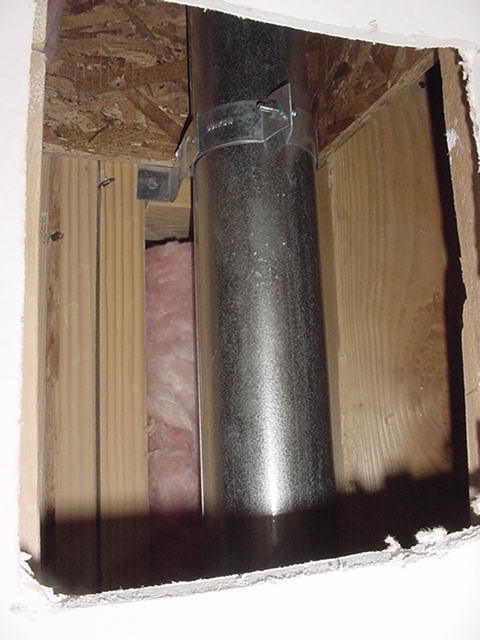 The gas vent pipe terminated in the attic of the home. 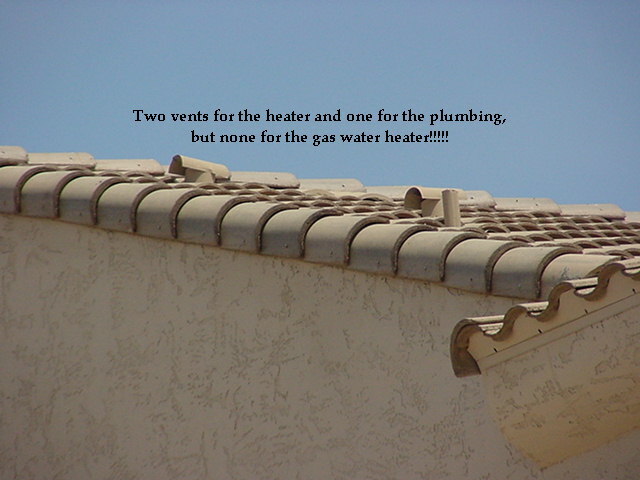 A perfect recipe for an explosion once the gas utility had been connected and the gas water began to operate. 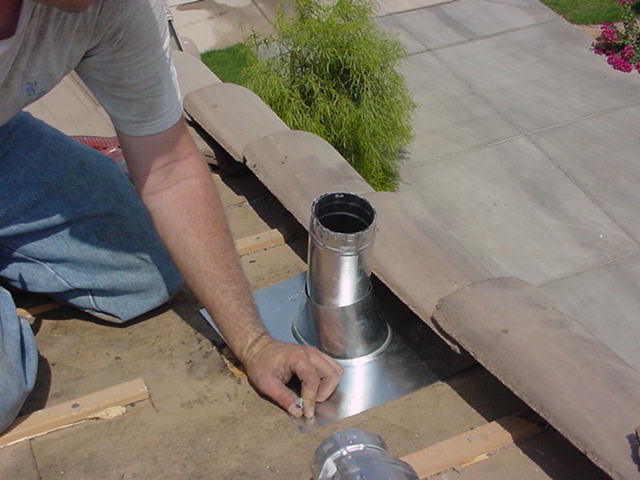 The builder had to disassemble the roof, cut a hole in the plywood then assemble a section of Class-B Gas Vent Pipe to stub the gas hot water heater out into the atmosphere. 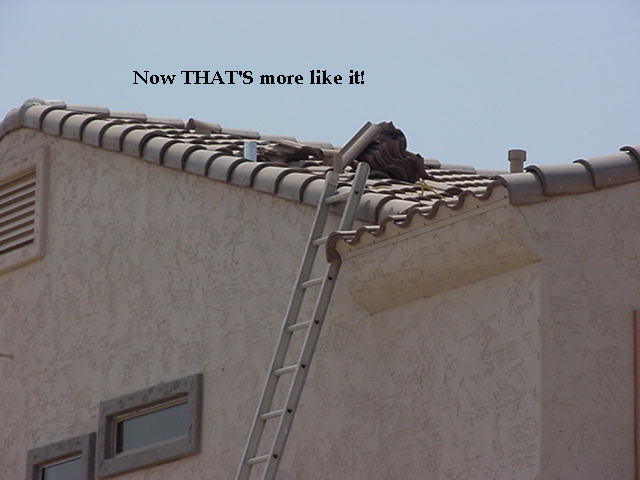 Just another example of why it is sooooo important to have your new home inspected by a professional, licensed, insured, bonded home inspector. 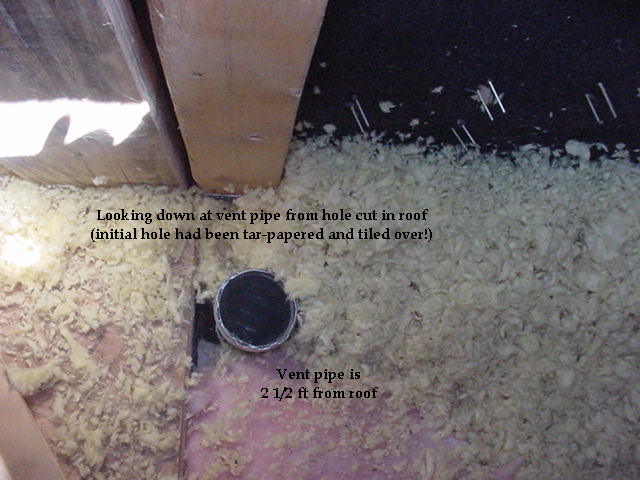 hot water GAS vent pipe terminates in the attic? !